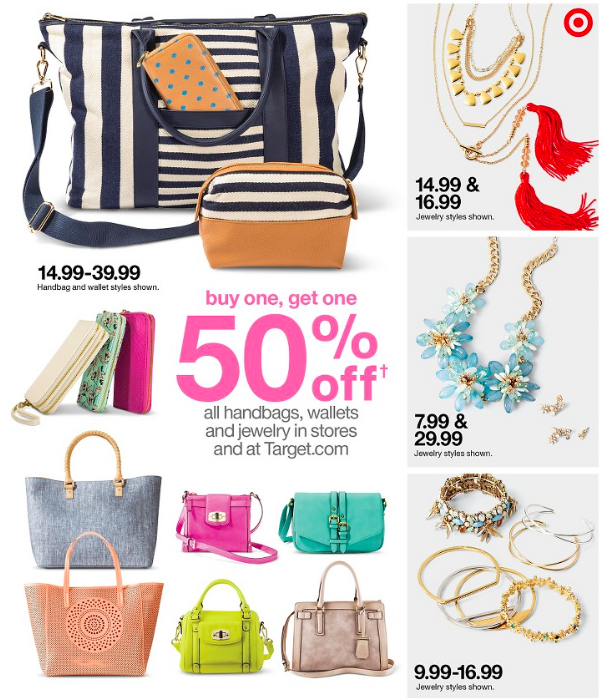 This week there is a great buy one get one 50% off regular-priced handbags, wallets and jewelry both in-store and online at Target.com. I really like all the new fun colors and styles of handbags for spring. Target REDcard holders get FREE shipping. If you spend $25 you will get FREE shipping with any other form of payment.